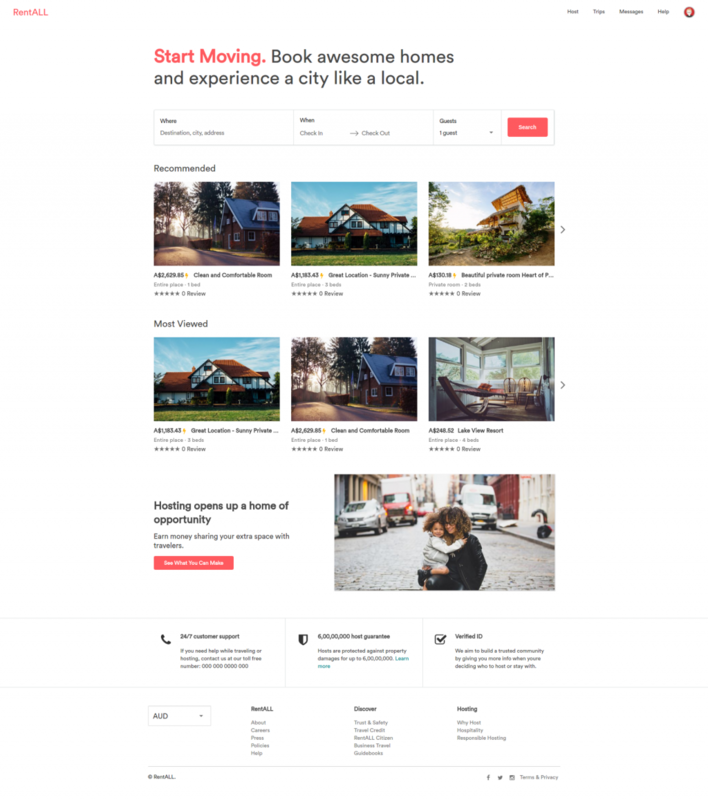 Madurai, Apr 15, 2019 (Issuewire.com) – We are excited to announce the latest release of RentALL – Airbnb clone script. This release includes improvements of various features and we mainly focused on upgrading React15 to React16, improvising the UI and to improve the SEO ranking of the platform. React 16 is completely rewritten from the core to include a lot of advantages to the developers like in-built error handling strategy which greatly reduces the error during rendering. Also, it provides better performance than React 15 and drastically increases the speed in the server side rendering. RentALL gives you an option to switch between two different elegant homepage layout. “Manage Popular Location” allows admin to add an image, the name of the location and geo location with latitude and longitude. Admin can add any number of popular locations which will appear on the home page. Whenever the user clicks on any of the popular locations that will take them to search page and show results based on the location. We have introduced XML SiteMaps in all pages including listings page that contains URL for all the listings and pages. This is exclusively provided for web crawlers for easy access. The XML file is automatically added to every new item and page which lets you have an up to date information and periodically revised to Google Webmaster. Cookies disclaimer is mandatory for the websites after the GDPR. We have got you covered. We have added a Cookies Disclaimer bar in this release. In the Listing page, we added the listing title as part of the URL to boost the SEO. Hence, this allows to recognize the listings more clearly and provides better identification for users through search engines. In the Search page, whenever you mouse over any of the search results that will highlight the same on the pricing tag on the Map. This helps the users to identify the location of the results on the map instead of clicking each one of them on the map to see more information about the specific listings. We have improvised the UI by changing the appearance and maintaining a universal appeal throughout the site like Airbnb. Furthermore, this creates a modern look to the site and provides a better user experience. Especially this will be helpful for mobile users. We have improved the look and feel of both signup and login forms to provide a better user experience. We have added a lot of UI improvements to the search page filters and make it easy to access by the users. We are very grateful to all our customers who have taken their time to provide valuable feedback to improve RentALL. We will keep working on improving RentALL and keep you posted on the progress. Stay tuned! Please share your feedback to [email protected] and we will get back to you at the earliest. Winsche Studios Has Made A Key Appointment To Their Leadership Team.